Bedrooms are spacious and feature private bathrooms furnished with all linens as well. One Bedroom units have 1 full bathroom. You and your guests can stretch out and relax in the living area and enjoy the comfort of having your own private accommodations for an ideal getaway. Enjoy the additional amenities the accommodation offers to make your trip as convenient and enjoyable as possible. Easily explore the area from this perfectly situated location and take advantage of the exciting local attractions and dining options available for all your vacation needs! Villas are just a short walk over the dunes to the beautiful Atlantic Ocean and the wide expanse of beaches. All of the accommodations feature fully equipped kitchens, comfortable family areas with dvd players, internet access and expanded cable. Bedrooms are spacious and feature private bathrooms furnished with all linens as well. 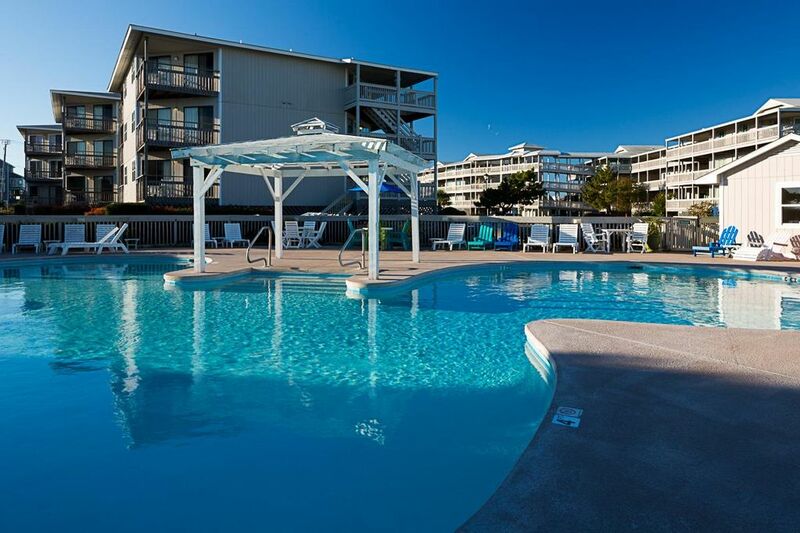 Atlantic Beach Resort is the oldest of five resort towns along the Bogue Banks of North Carolina's coast. Known as the "Crystal Coast", it's the kind of place that remains in your memory throughout the year as a peaceful vacation oasis. Walk down the boardwalk from your villa to the white, sandy beach where you can rent a chair and umbrella for the day. Once you've soaked in the sun and splashed in the sea, wash the salt and sand away and head into the surrounding communities for delightfully fresh local seafood. Whether you like to swim, bask in the sun, sail or fish, Atlantic Beach is the perfect spot for a family trip, a romantic escape, or a beach bum's ideal vacation. - Check-In Policy: A government issued photo identification and valid credit card or cash deposit are required at the time of check-in for incidentals. - Check-In Time: 4:00 p.m.
- Check-Out Time: 10:00 a.m.
Rates subject to change. Click "Book it Now" for rates and availability. Reservations may be cancelled up to 8 days prior to arrival. A cancellation fee of 25% of the reservation will be charged. Cancellation requests made 7 days or less prior to arrival are non-refundable.